Thoriated tungsten electrodes contain thoria, a radioactive element that can be dangerous to the health of workers. During the grinding of the electrode, there is a generation of radiotoxic dust, with the risk of this being inhaled by the welder. To overcome the risk posed by the harmful thoria and to maintain a very high life expectancy for the tungsten electrode, Huntingdon Fusion Techniques HFT®’s blue-tipped MultiStrike® Tungsten Electrodes contain a mix of non-radioactive rare earth elements, eliminating the risk to health posed by radioactive thoriated tungsten electrodes. Other tungsten electrodes work at higher temperatures so their oxide additions burn out, or evaporate much faster than those nonradioactive ingredients in MultiStrike®, so much so that MultiStrikes® give at least 10 times more arc striking capacity of other tungsten electrodes when tested under the same conditions. 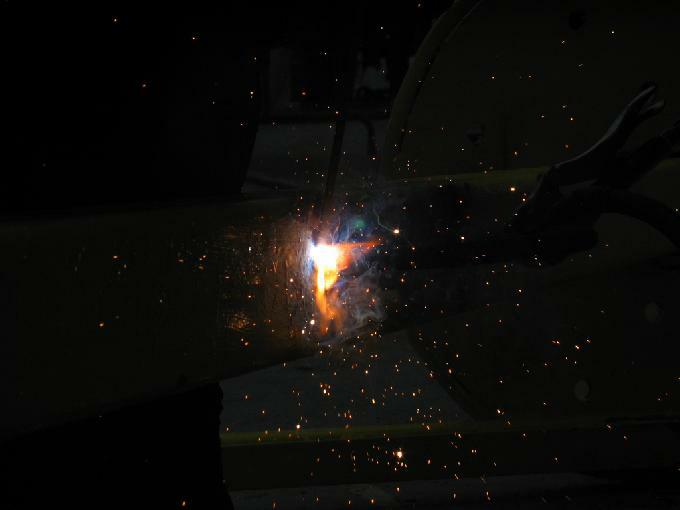 MultiStrikes® can be used for welding aluminum with the AC process, as well as steels and alloys with the DC process, which allows the welder to have just one type of tungsten electrode to weld all materials and reduce the number of stocks and purchasing requisitions. With most tungsten electrodes in use still containing radioactive and carcinogenic 2 percent thorium oxide, MultiStrike® provide the TIG and plasma welder with a safe and superior alternative. GE Repurposing RFID Tags as Tiny Explosive Detecting Sensors… Anti-Terrorism Breakthrough?